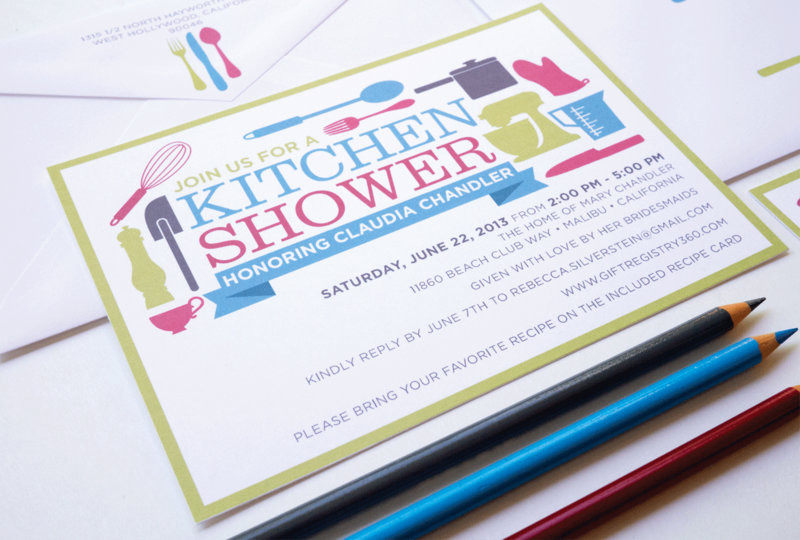 A colorful kitchen themed bridal shower invitation was custom designed for a bride who needed help to fill all her kitchen cabinets. 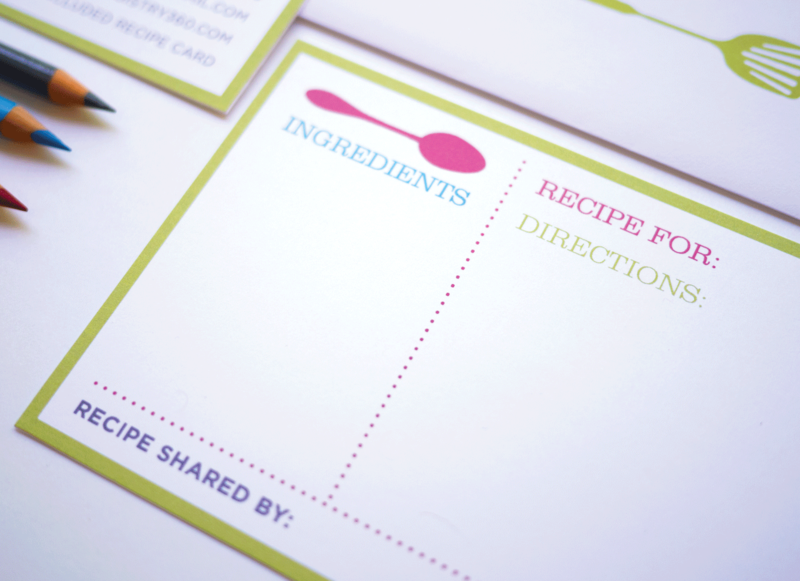 New to cooking, guests were asked to fill out a recipe card to help grow the brides recipe collection. Invitation was flat printed on smooth card stock. 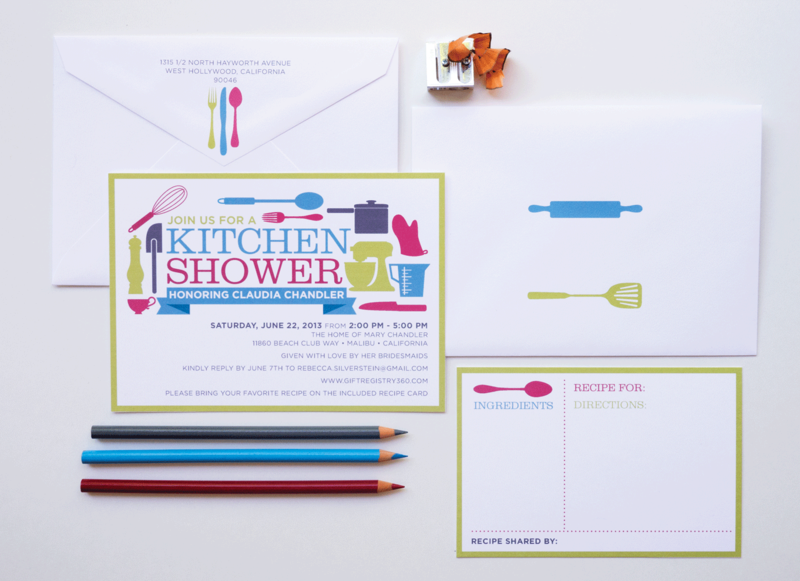 Suite included an invitation, envelope and corresponding recipe card.